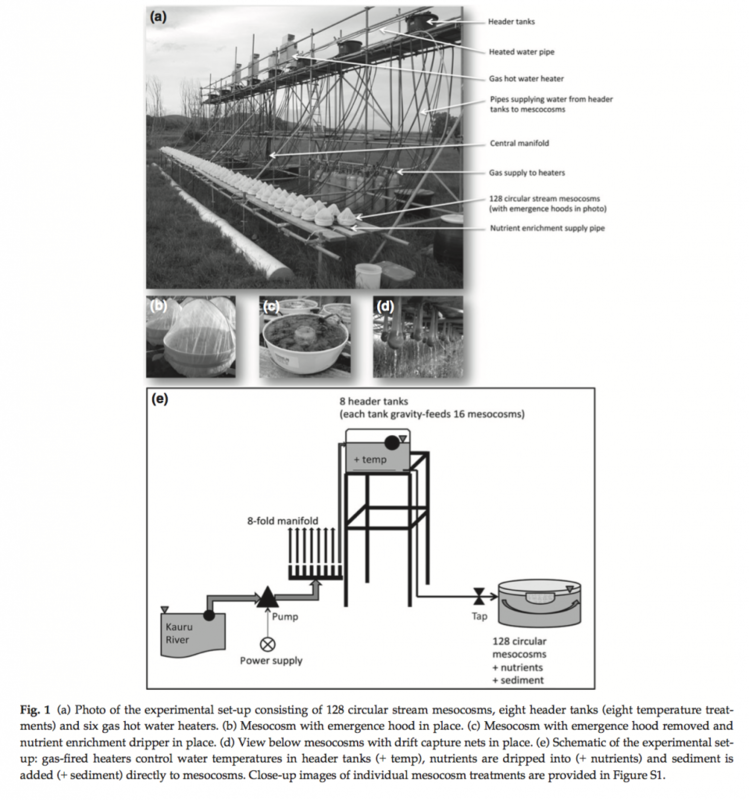 The ExStream System comprises 128 circular stream mesocosms offering strict control of experimental variables, excellent statistical power and a high degree of realism, such as permitting natural immigration and emigration of stream organisms (invertebrates, algae and microbes) and achieving the same ambient temperature, light conditions and water chemistry as the adjoining river/stream. 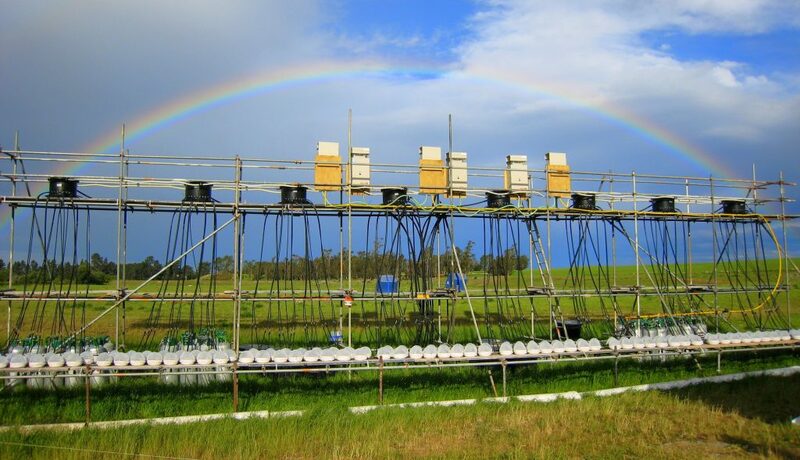 The mesocosms are arranged in eight blocks of 16 units each, and each of these blocks is continuously supplied by stream water gravity-fed from one of eight header tanks via 16 individual supply pipes. 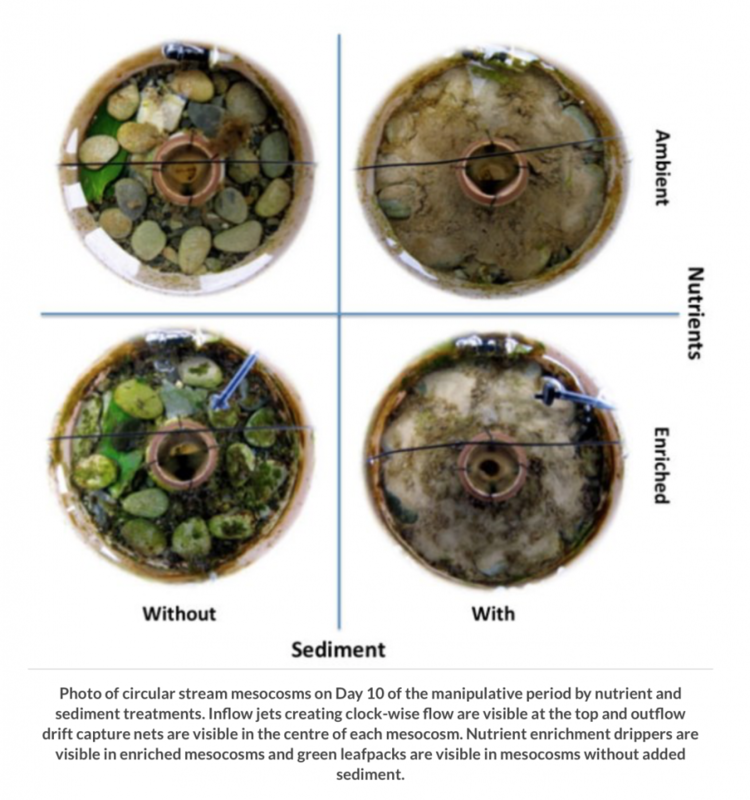 The Experimental Stream mesocosm network (ExStream) comprises replicate installations in New Zealand, China, Japan, Germany and Ireland and is coordinated by Asst. 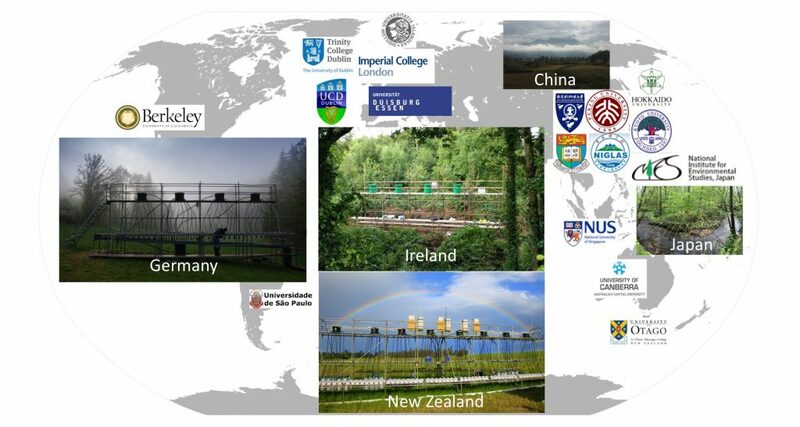 Prof. Jeremy J. Piggott at Trinity College Dublin (jeremy.piggott@tcd.ie). Caravan camping is facilitated through the facility.